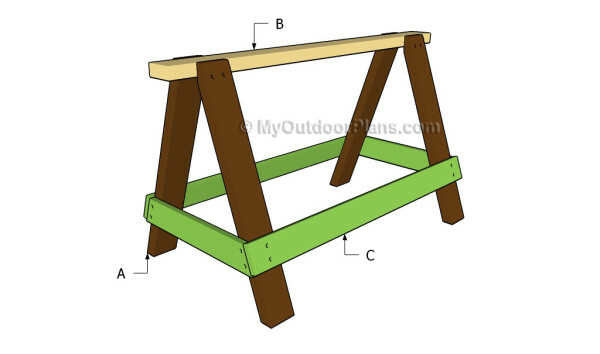 This step by step diy woodworking project is about sawhorse plans. 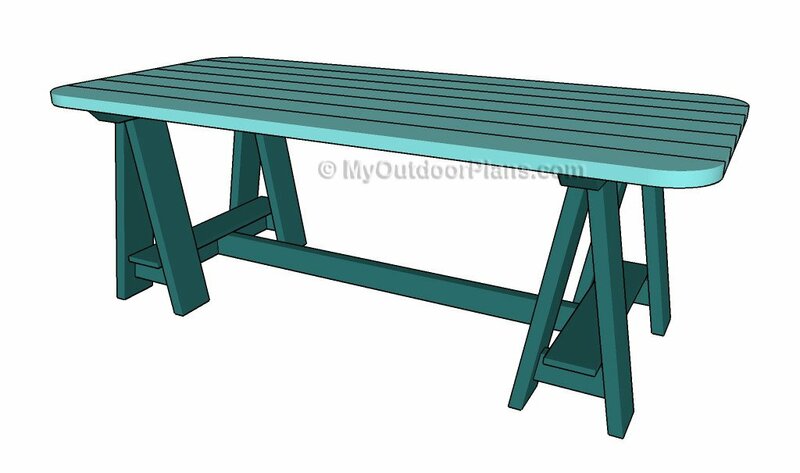 Therefore, if you have a workshop and you like to work with lumber and with power tools, we recommend you to pay attention to this project, as it will show you everything you need to know about sawhorses. 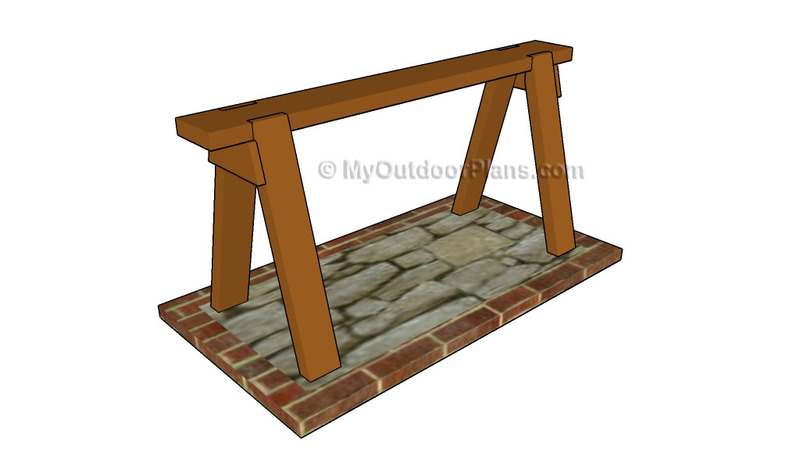 Generally speaking, it is a better idea to build several of these sawhorses, as you will most certainly need several when building or cutting something. Top Tip: Building several sawhorses is a great idea, as it will give you enough support to cut and assemble large pieces of wood. 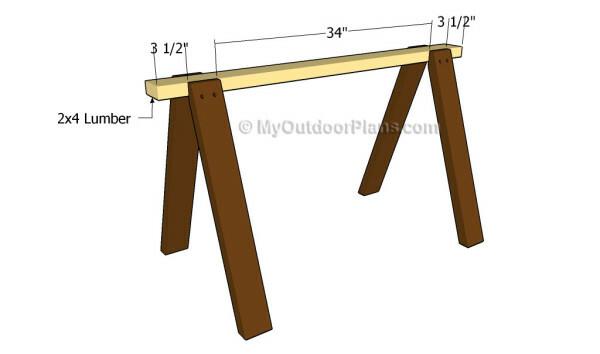 The first step of woodworking project is to build the legs of the sawhorse. As you can see in the image, we recommend you to use 2×4 lumber for the job. 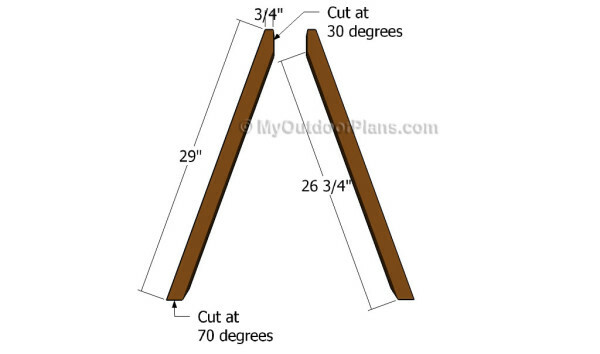 Mark the cut lines with a pencil and adjust the ends of the legs at the right angle by using a saw. Repeat the process for the rest of the legs, making sure they are exactly the same one with another. Select the lumber with great care, making sure the components are in a good condition, without cracks and perfectly straight. Continue the project by attaching the top to the legs, as shown in the image. If you want to get the job done in a professional manner. Use a spirit level to check if the top of the sawhorse is horizontal before attaching the legs into place. In addition, we recommend you to drill pilot holes through the legs before inserting screws, in order to prevent the wood from splitting. Add waterproof, if you want to create a stronger bond. One of the last steps of the project is to attach the braces to the bottom of the legs, as shown in the diagram. 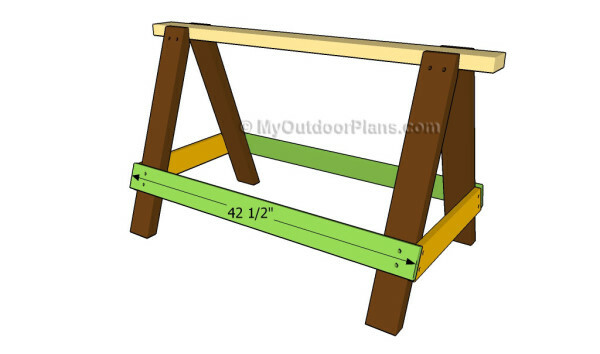 In order to provide enough support to the sawhorse, we recommend you to attach the 1×4 braces to the bottom of the legs. Drill pilot holes at both ends, level the braces with a spirit level and lock them to the legs with 2 1/2″ galvanized screws. Leave at least 1/2″ from the edges to prevent the wood from splitting. 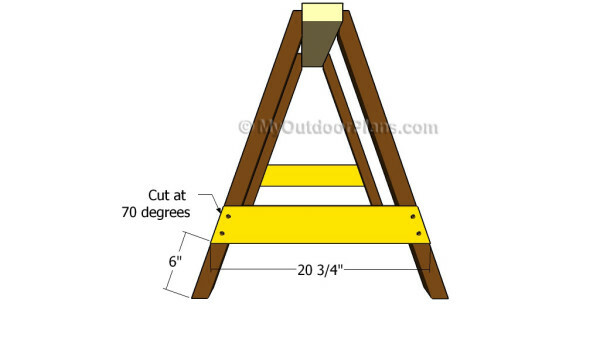 Continue the woodworking project by attaching the braces to the sides of the sawhorse, as in the diagram. Work with attention and make sure you align the braces at both ends before inserting the screws. 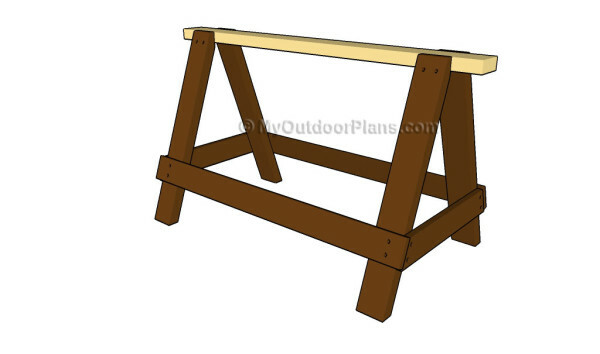 This woodworking project was about sawhorse plans. If you want to see more outdoor plans, we recommend you to check out the rest of our step by step projects.